outside my window... it is january and it is still amazing weather. i am sure that we need more rain, but i am enjoying the warm afternoons. today it is forecast to be 79. believe me, we will be going to the park for sure! i love sunshine and warmth. i am thinking... about how it feels like so much has changed for me in the past couple months. 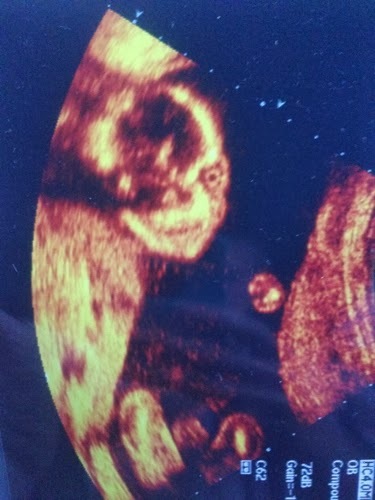 for one, i am pregnant with our 6th baby, our 1st baby girl! 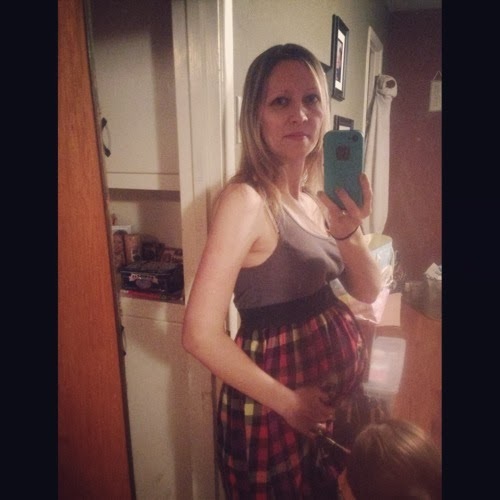 this pregnancy brought so much as far as unlocking my emotions that were stuck in a numb state after my dad's death, that i feel like a completely different person in some ways. i am smack in the middle of processing but, with homeschooling for the 1st time and 5 little active boys, i don't really have much time for processing. so it is kind of a draw out process. but my whole outlook, my whole view of the world, the way i feel like i interact with people and with God feels altered. not necessarily in a bad way, but in a way that makes it difficult for me to write here in this space and not just in my paper journal that allows me the space to be okay with my change and my process. i do want to keep this space up, but just because of the season of life i am in i can't really write here as regularly as i have in the past. i am thankful... for my wednesday mornings when my husband takes a shift teaching the kids, and lets me get away for a bit. the time he has freed up for me these mornings has forced me to process with God the pain and struggles of my heart. i hope it is bearing fruit of me being a better wife and mom when i am home in the trenches the other 165 hours a week. remembering... to be patient with myself. i feel like i am so behind in life and don't have the energy to catch up. trying to be okay with what i get done each day, and to try to enjoy the day and not just view it as an overwhelming amount of stuff to accomplish. from the learning rooms... we are halfway through our homeschooling year and praying about direction for next year. there have been things i have liked about it and things that i feel are lacking. this could be due largely to me being pregnant and feeling like i am just treading water at life right now. the boys love math and are flying through their curriculum. we are going to guatemala next month for a ministry trip, so bill is teaching them spanish. david is a full blown reader and it is so much fun to hear him read. from the kitchen... i just started going into my kitchen again. yes, i said going into it. haha!! i started cooking a couple meals a week (bill has been cooking for us for the past 3 months or so) and my kids started cheering and commenting in utter disbelief that mommy was cooking again. it is so strange that being someone who loves to create in the kitchen, i become a totally different person who wants nothing to do with food prep when i am pregnant. good thing i have taught my hubby to cook! i am wearing... jeans (my staple), a black shirt, and my charcoal felted toms. i am going... to guatemala in a month! so crazy to think we are taking our whole tribe down there. i am so excited. we are buying the tickets later today. God has really provided for this trip. i haven't been out of the country for 10 years. my kids have never been out of the country. my husband grew up outside of the country! this trip is way overdue, and yet the exact perfect timing. most of them will remember it, and i think that is so awesome. i am reading... a book from one the series by my favorite author bodie thoene. it has been a while since i read some good historical fiction. i love how she writes about the times of Jesus and how it makes the bible just come alive that they are real people who had real experiences and emotions and back stories. i am hoping... that all the things that need to be done in the next couple months get done in the perfect timing. it feels like so much of our life is a jigsaw puzzle right now, and timing is everything! i know the Lord can work out timing, so that is my main prayer. around the house... we are trying to get our house ready to rent out, so we can find something a little bigger for our expanding family that we could rent. that means a lot of little fixes here and there and hopefully some organizing so it isn't a wreck when we show it. we are definitely using every square foot of it to the max. one of my favorite things... is hearing the boys talk about their new baby sister who is coming. they are already so excited and so protective. asher has forbidden 2 piece bathing suits and simeon is concerned that we get enough skirts for his sister to wear. they are all much more enthralled with the color pink than i am. pondering... how fast time is going to go by these next couple months. life is so full, i have a feeling it will fly by. a few plans for the rest of the week: we are going to get away for a little date time. it has been over a month since our last coffee date, so i think it is due. we are spending time at the park. we have homeschool co-op, which always feels so hard to get to, but then the kids enjoy it so much and are in great moods when we leave. we have our first basketball game this weekend for the older two. being a sports mom is fun. i enjoyed the break from sports this fall, but i am ready for it to start up again.